As I have previously stated I am definitely not a diehard football fan, however I do tune into the Superbowl to watch the famous half time show. 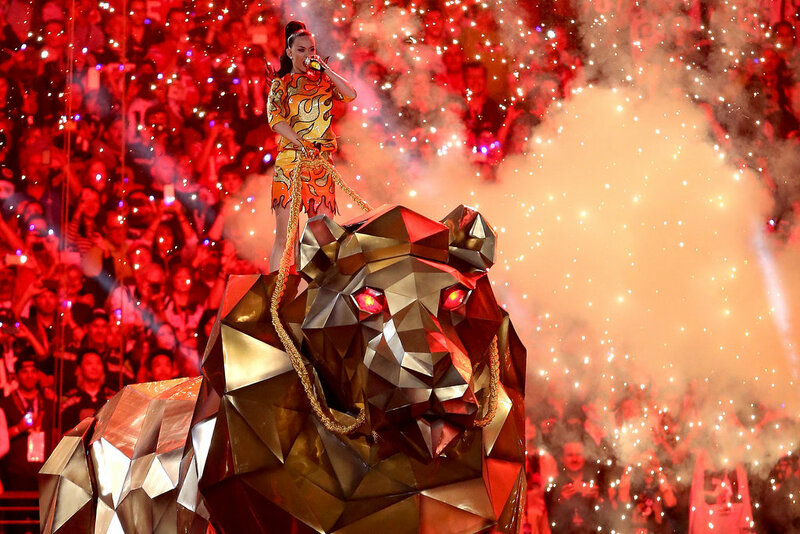 This year the main act was Katy Perry along with Lenny Kravitz and Missy Eliott! I decided to do a post on Katy’s clothing choices, especially considering how impressive it was that in the 12 and half minute performance she pulled off four different outfits! I have always enjoyed following Katy’s fashion statements, I don’t always love them but I always admire her boldness and risk for trying the unexpected. The dramatic entrance for the performance was extremely strong. Her outfit was a 2 piece gold, orange and red fiery inspiration with 3D flames off the shoulders. Completed with her classic high pony, strong eyes and red lips. Outfit #2: Between the dancing sharks, beach balls and palm trees Katy dressed in a beachball motif bustier set with the beachball bra and sparkly custom LaDuca boots with 12,600 Swarovski crystals which were wore through out the performance. 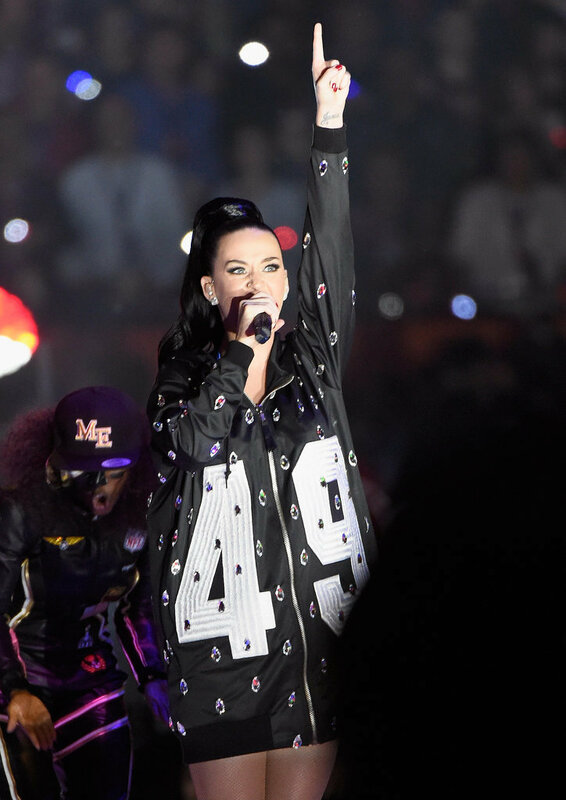 Outfit #3: With her performance with Missy she wore a simple jersey style zip up with 49 on the front symbolizing the 49th SuperBowl and her name on the back…plus lots of embroidered diamonds. Outfit #4: My favourite by far (I wonder why…bling bling)! For the final song Fireworks Katy is lifted up wearing an eye catching glitter ball gown designed by Jeremy Scott. Between all her outfits there were over 22,000 crystals.